Looking for Agile course or certification? Have a look at course map to find good math for your role as developer, tester, Scrum Master, Product Owner, manager, director, owner, or several course experience levels. Do you prefere to be certified by international certification? 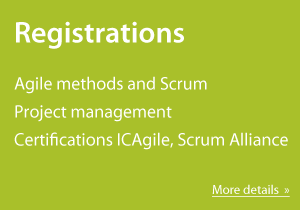 Have a look at Certification courses from ICAgile or CSM by Scrum Alliance.